Majid Al Futtaim, a leading shopping mall and leisure pioneer in the region, has opened Aloft City Centre Deira, marking the group’s 13th hotel in the region and the first to offer one-of-a-kind movie-themed suites. 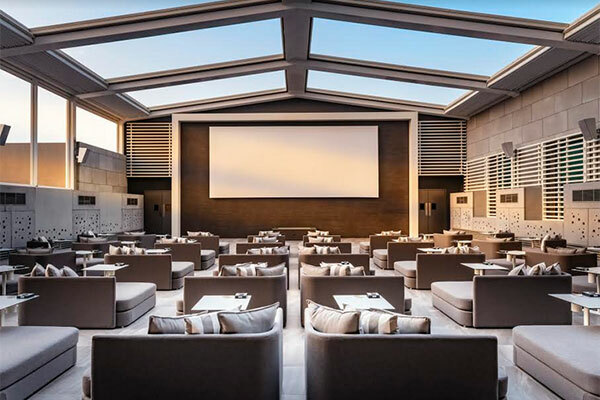 Operated by Marriott International, Aloft City Centre Deira is situated in the cultural heart of Dubai and is the first hotel in the region to offer movie-themed suites, alongside a VOX Cinemas' OUTDOOR screen and the Aloft brand’s signature programming. The latest offering brings together the combined synergy of Majid Al Futtaim and Marriott International to extend best in class amenities, expedited service offerings and innovative leisure and entertainment options to create unique lifestyle experience for millennial audiences and caters to the surging demand for mid-market hospitality offerings in the city. Directly connected to City Centre Deira, the hotel provides a unique integrated destination offering, that brings together award-winning hospitality, shopping, leisure and entertainment lifestyle excellences to create memorable experiences.